One of our favorite Saturday Night Live characters was Hanukkah Harry, as played by Jon Lovitz. 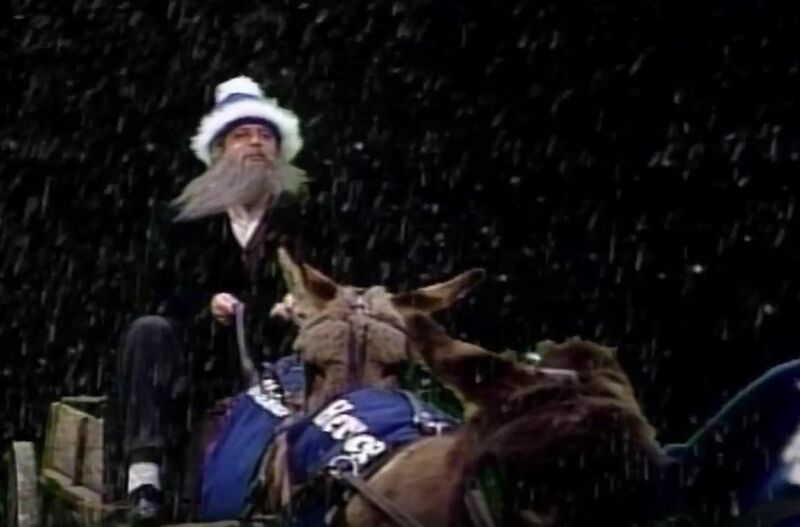 He first appeared on December 16, 1989 in a sketch titled "The Night Hanukkah Harry Saved Christmas". We couldn't find that sketch to share with you, but we did find Harry's second appearance on April 14, 1990, in a sketch titled "The Night Hanukkah Harry Saved Easter." It has a similar theme to the first sketch, but instead of filling in for Santa Claus who couldn't deliver toys because of a stomach virus, he helps out the Easter Bunny who can't deliver Easter baskets because of a leg injury. 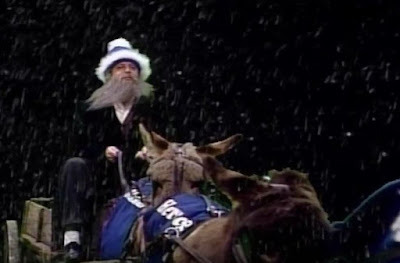 In this sketch, Hanukkah Harry saves Easter for a poor family of gentile children with the help of an invisible (and thirsty) Elijah the Prophet and his trusty flying donkeys Moishe, Herschel, and Shlomo. The Baltimore Sun has called Hanukkah Harry one of the best Saturday Night Live sketches of all time. We hope you enjoy this 27 year flashback. Thanks for providing the link. I couldn't because this week I'm posting from Jerusalem, and the link doesn't work here.